Right Triangle, Incircle, Tangency Point, 90 Degree, Cathetus, Metric Relations. 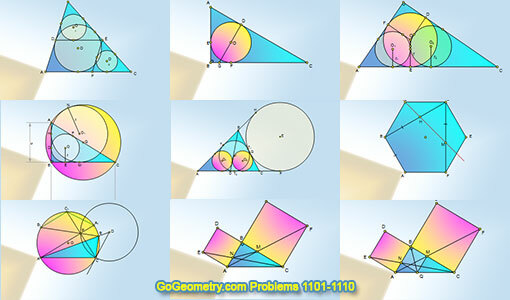 Typography of Geometry Problem 1103. Triangle, Incircle, Excircle, Cevian, Tangent, Congruence, Geometric Mean. Regular Hexagon, Congruence, Diagonal, Collinear Points.